2. 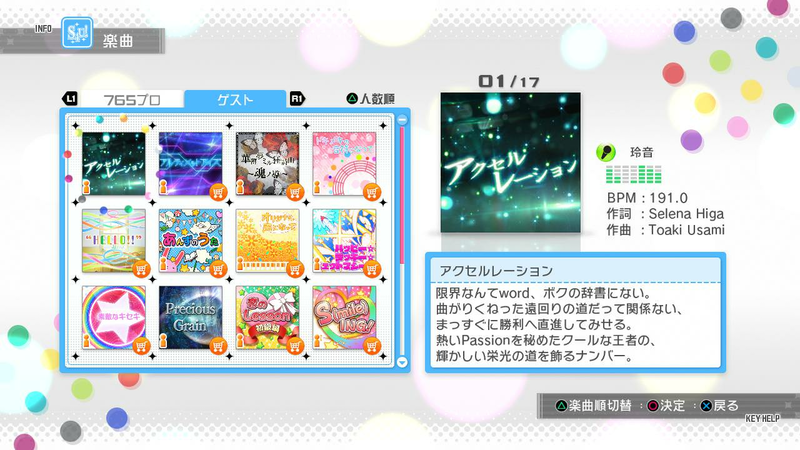 As for DLC characters, they have a completely separate section for their songs, press R1 during song selection in S4U to switch to the "guest" mode. 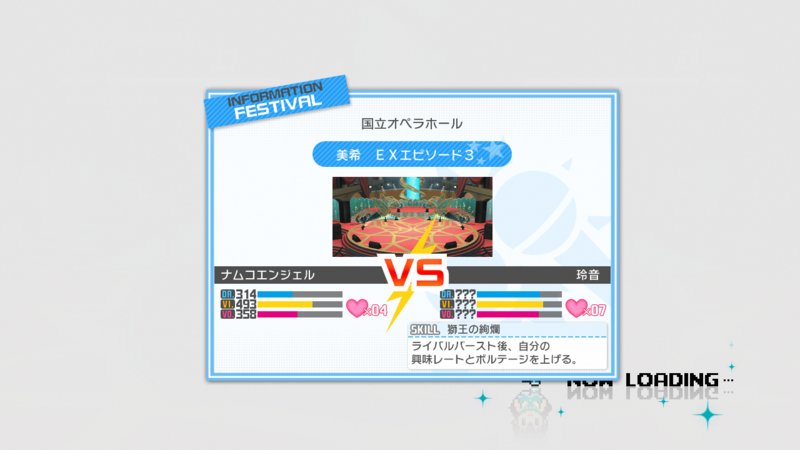 Miku only appeared in 2, not OFA. 3. Yes, burst appeal effects do stack if you burst charge. It's common to stack Ritsuko and Azusa's bursts to increase the chance of memory appeal regeneration. 2. 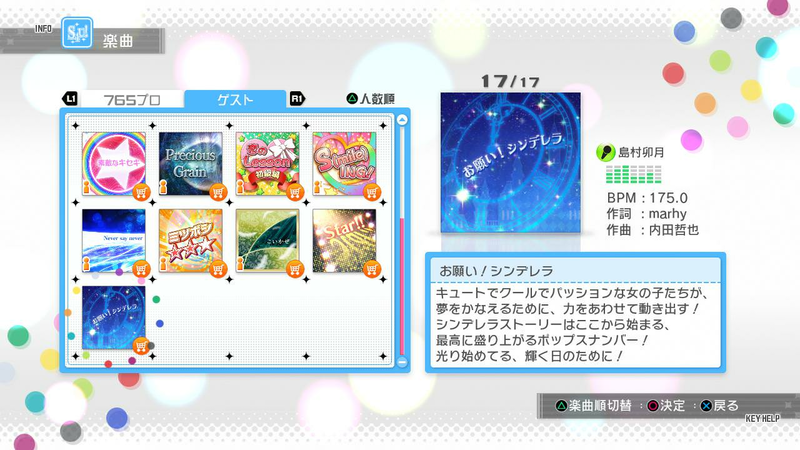 There are 3 DLC All-star lives: Thank You!, Ramune-iro Seishun, and Niji-iro Miracle (Yes, each All-star live is a prerendered video, I ripped them years ago). There's a 3 part lead-up for each into the actual All-star live. 3. More like a duo burst charge. You don't need one of them as leader when you can press L1 to switch burst characters (This was required in 2 for memory drives, unlike this game). As for that glitch, I really wouldn't know especially since you usually do the burst counter except in specific circumstances. 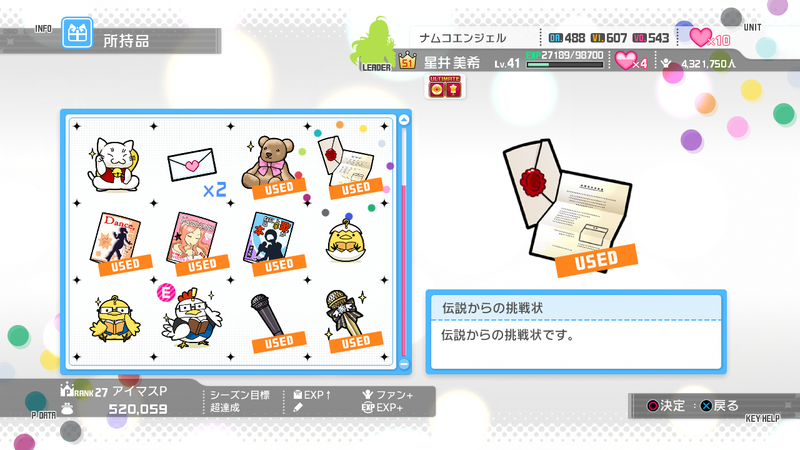 Also, you can only equip 1 amulet period; Any amulet you try to equip will replace the previous one that was equipped. It's not replacing the leader, it's just replacing who's doing the burst appeal. As for accessories, the tiara is the best one with 3 stars worth of stats, with everything else maxing out at 2 stars iirc. But for amulets, I just keep the largest XP amulet (The bird reading a book) active since fan gain stops becoming a problem when you've already hit S ranks. I never really bothered with the consumable items outside of the magazines to skip lessons and the challenge letter to fight Leon. L1 just switches the burst character(s) around, it doesn't cost anything except your attention while still hitting appeals. Mics and flowers are one time use items, the bird is the actual EXP amulet. Notice how the amulet itself is equipped while everything else says used? As for Leon's challenge, you can do it 13 times with the same character if you really wanted, but there's nothing really to gain after the first one to unlock Acceleration.